« Dr. No thank you …..
Do you know where to tap …..
Just as the giant cruise ship was about to depart, fully laden with passengers, the engine failed. Panic quickly ensued as various teams of engineers failed to restart the engine and the passengers became ever more irate. A retired ship engineer who lived locally was summoned. He embarked with his small bag of tools and inspected the engine very carefully. Having completed his inspection, he reached into his bag and pulled out a hammer and gently tapped something. Instantly, the engine lurched into life. It was fixed. A week later the owners received a bill from the old man of $10000. My neighbours son bought tickets to the Ireland v Belgium football match in Bordeaux on June 18th. The problem is that it clashes with his wedding day….. 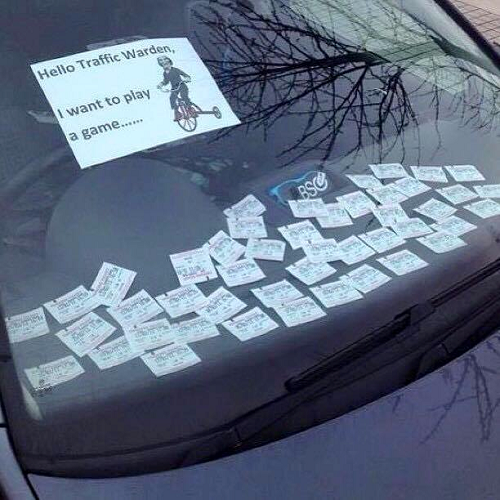 He applied for tickets, but didn’t expect to get them. He then forgot about it, but lo and behold, the tickets arrived yesterday. I know this is short notice, but he’s asked if you know of anyone who would be interested in getting married in a fortnight? This entry was posted by admin on June 12, 2016 at 7:03 am, and is filled under Sunil Bali, The Art of Awesome Living, The Book of Awesome Humour. Follow any responses to this post through RSS 2.0. Both comments and pings are currently closed.